DC Quarn, who served in the Met for 18 years, said he was “highly offended” when DS Matthew Price referred to Lambeth, South London, as “planet of the apes,” while surrounded by black and ethnic minority people. The comment was made when racial tensions in the city were at their height in the wake of the police shooting of Mark Duggan, which triggered the 2011 London riots. “In early August 2011 after the shooting of Mark Duggan, there were several witnesses to DS Price in Lambeth commenting ‘It’s like being in Planet of the Apes’ in reference to the numbers of BAME [black and minority ethnic] people around him,” he said. DC Quarn raised the incident with top-ranking officers at a previous employment tribunal. The incident was finally investigated in 2014, but failed to meet the “racial discrimination requirements” threshold deeming it worthy of reprimand. The officer found it “incredible” that senior officers in Lambeth Met failed to investigate the “racially fuelled” comment. “Managers tried to bury the incident,” he said. The former paratrooper said he forced Scotland Yard to address the problem, and as a result he experienced “hostility and detriment,” he told an employment tribunal. “It was like classic school ground bullying,” he said. “I expressed concern that no formal investigation had taken place into this incident. There was a clear breach of policy and legislation, including the Public Order Act 1986 that was not investigated,” he added. “I would say our general stance is that the police force is institutionally racist. The cover up of this incident and the statement speaks for itself,” Mwale added. 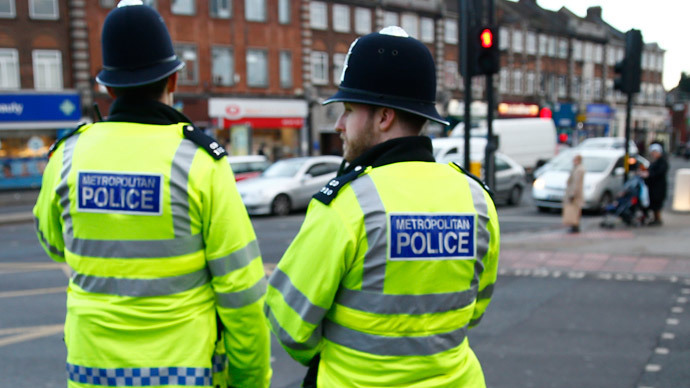 The Met Police says it "wants to stress there is no room in the MPS for racism and sexism or victimisation". Really? “To my mind the senior leadership team managers who had made the decision to bury the incident were at fault. Found it incredible that the Lambeth SLT decision makers would buck policy and legislation then protect DS Price’s behavior,” he added.